I was unsure what to expect from Decenders. 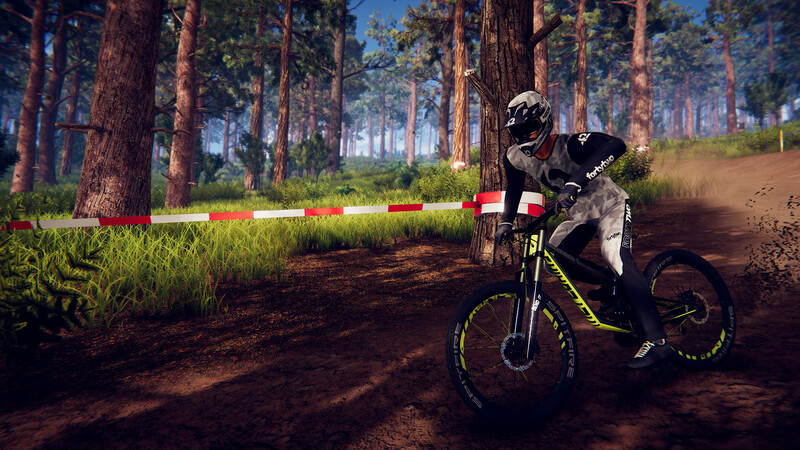 Mountain biking isn’t very common in video games, and only one of my friends mountain bikes in real life (hi Derrick). Then I remembered Tony Hawk’s Pro Skater, Skate, and even OlliOlli. 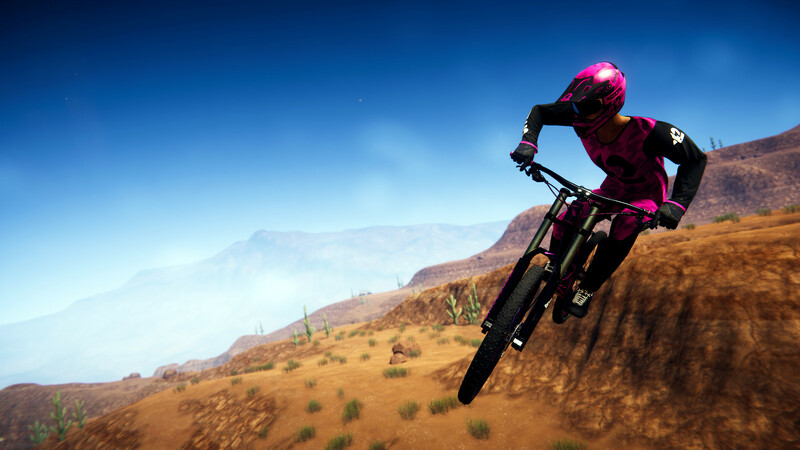 All of those games are about fun and speed, which sounds a bit like Descenders. 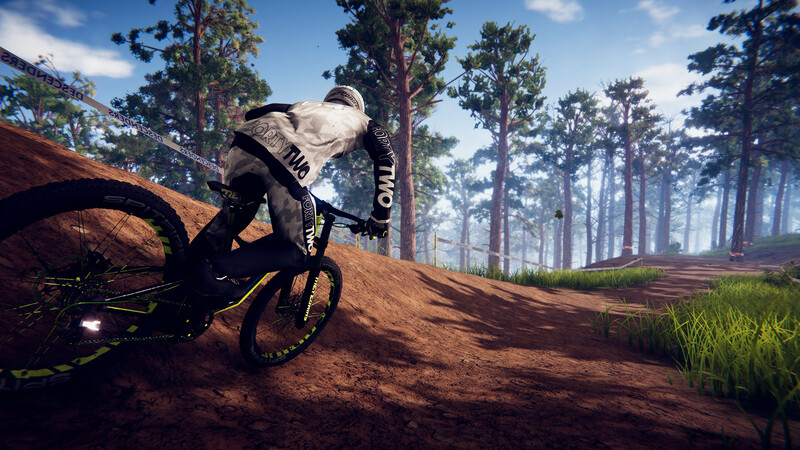 Although Descenders starts to differ from the others with its procedurally generated downhill maps making each playthrough completely different. There are different teams/factions. Enemy is for those who like to take to the skies and perform tricks. 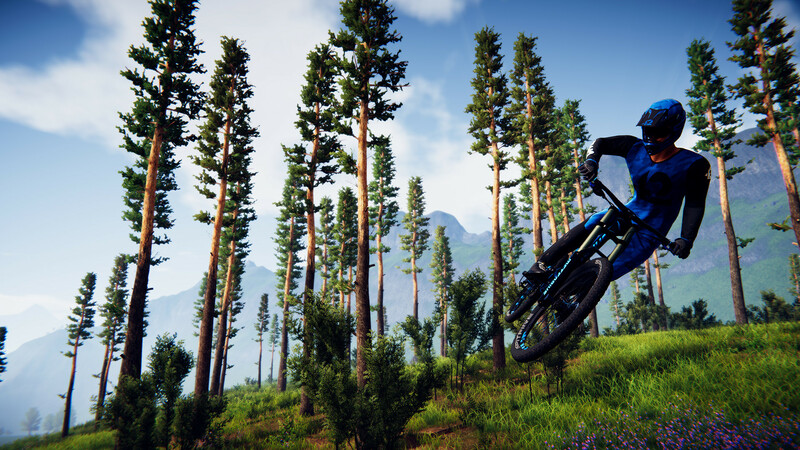 Arboreal is for off-roaders and enjoying the scenic route. Lastly, there is Kinetic, which is all about going as fast as possible. I like a mixture. 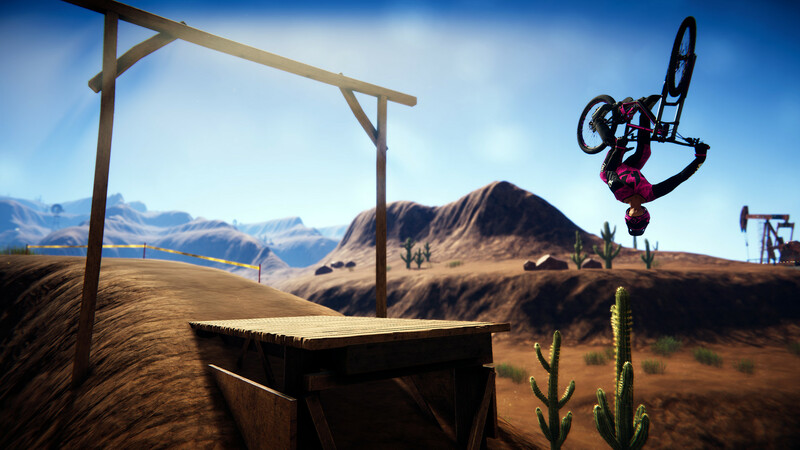 Start off fast, downhill, hit a ramp, fly over a bridge performing a few backflips, land (or not), then just go off-road and find a loop. In a similar manner to all of the games mentioned above, picking a level presents the player with objectives to earn extra points. My objectives were perform two front flips and to pedal non-stop. Knocking out the front flips wasn’t a problem, but pedaling non-stop was really difficult. I was so bad at avoiding rocks and ramps that even spectators behind me started laughing. To avoid further embarrassment at how bad I was at the game, I took the easy way out by proceeding slowly and carefully. 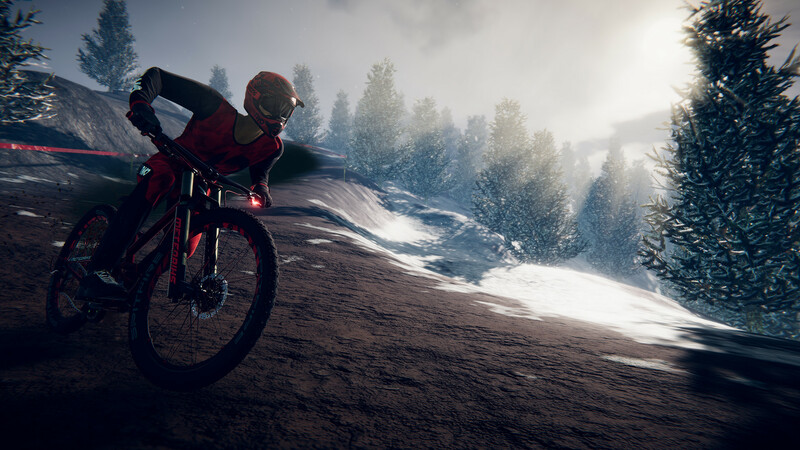 The only gripe I had with Descenders is how slippery the bike felt. The slightest tilt of the thumbstick and I was sent flying to that side. The back wheel can be controlled with the right thumbstick to further avoid obstacles or to take sharp turns. As much as I thought it was helping me out, I felt it was hurting my ability to control the bike by just hitting the breaks a little before taking turns. For this, I’d rather play everything but the races, because performing tricks was actually fun, when they go in your favor of course.